I don't diet. When I found my wedding dress and my consultant told me I could lose ten pounds, I probably gave her a little side eye. She dropped it down to five pounds, but that was still five pounds more than I ever tried to shed in my life. I've always been skinny and I've never had to count calories. But I wanted my dress to be perfect, so if five pounds was the answer then five pounds was gonna happen. That meant sticking to a wedding diet, though. Awful, right? 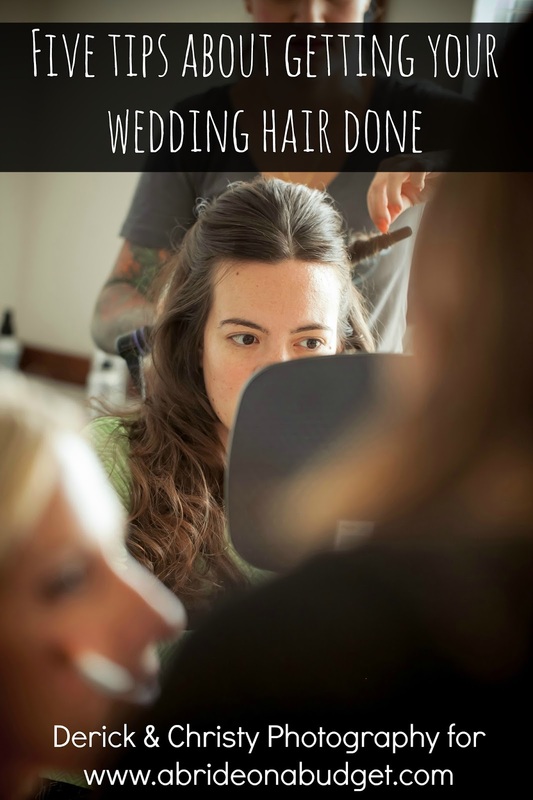 If you want to look like the best version of yourself on your wedding day, I totally support that. I would never support trying to lose a few hundred pounds before the big day because, honestly, you'll look like someone else in your photos (and, well, if you do have a few hundred pounds that you think you could lose, you'll probably want to consult a doctor about that. I can't -- legally or realistically -- help you with that journey). 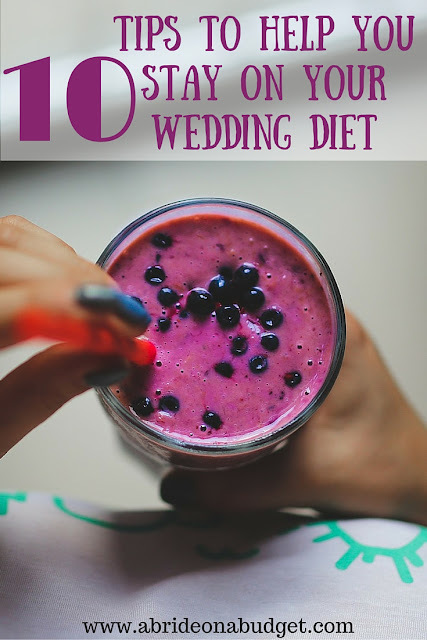 But, if you're on a wedding diet and need a little bit of help to stay on it, these tips are here for you. If you don't buy it, it won't be in your house, and you can't eat it. I follow this line of thinking every time I'm at the grocery store. Sure, a bag of chips looks great, but if I buy it and bring it home, I'll eat it. My willpower is not strong. If I leave it in the store, I'm leaving the temptation behind too. If you really want to snack, buy healthier options. Find healthy snacks that you really enjoy and make sure those are in your pantry -- especially if you have a roommate who is bringing home delicious cookies. Sometimes, when you feel hungry, you're just thirsty. I'm not sure how it happens, but it's a thing. Seriously. You can Google it. So when you're thirsty, before you grab a snack, grab your bottle of water. Drink some water and then wait. If you're still hungry after a bit, then you were hungry. But if the water subsides the hunger, your body was just confused. And if that's the case, you just added zero calories to your day but still filled up. If you track your calories in an app, you'll feel guilty about that piece of chocolate. Trust me. Every time I logged mine into an app, I felt like it was judging me. Three Ferrero Rocher chocolates were 219 calories and I feel like the app was like, "Are you planning on having more calories from chocolate today than from breakfast?" So just having that in my mind, knowing I would have to log the chocolate, it made me stop snacking on it. Instead, I would portion control Pepperidge Farm Goldfish or strawberries. 4. Buy fun size chocolates if you really need a fix. I'd be lying if I said wedding planning didn't make me want to indulge. But if I did, my vice was one fun sized Nestle Crunch bar. I got my fix and didn't ruin my entire day. If you need to curb a craving, do it with a small dose of whatever you're yearning for. If your fiance is eating some delicious looking pasta swimming in cream sauce, your grilled chicken won't compare. You'll dip a bit of garlic bread into his sauce and one bite will turn into a plateful. Trust me, it will tempt you. But if he is also having salmon and spinach for dinner, it'll be easier to stay on track. And if you're trying that buddy system, try it at home. Instead of having date night at a restaurant, cook at home. It'll be fun to do it together, plus, you'll know what's going into your meals. Food at restaurants taste good, but so many of those yummy entrees are made in tons of butter. You don't really want to be that girl who is asking the waiter to ask the chef to change the cooking method just to suit your new diet. It's much easier to just do it yourself. Keep chicken and salad in the house and use it to make your lunch the night before. That way, you're not getting fast food on work days. If you're running around planning your wedding and, in a pinch, you need to grab something on the go, you can ask your trusty app. It will actually give you the healthiest option at each fast food restaurant so you can at least make a good decision. The same goes for breakfast. With some fast food joints serving all day breakfast, it's tempting to grab it on your way into the office. Instead, make yours at home. Pete will make us smoothies before he goes to bed and we have them for breakfast the next morning. By planning ahead, you can make better decisions. 8. Don't drink your calories. Beer, soda, mixed drinks, they all come with a lot of potential calories. If you can drink water instead, you won't be drinking your calories away. 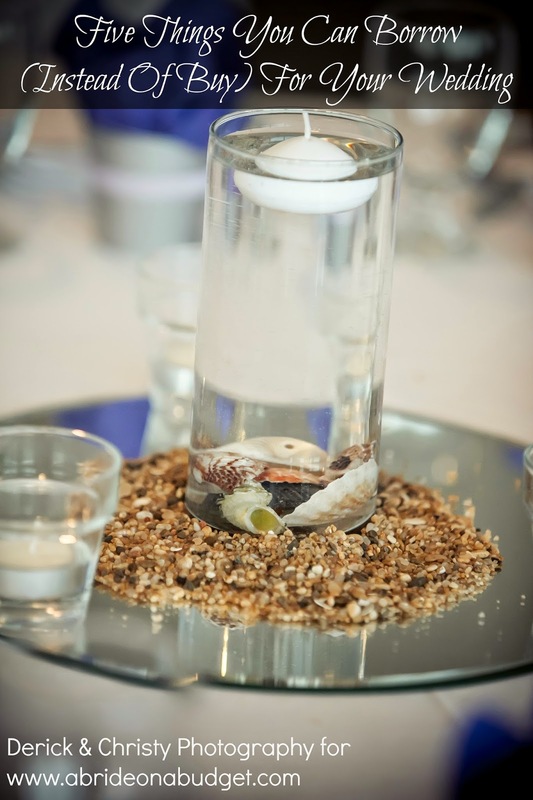 If you're not a fan of water, you can always try to add something like low-calorie Crystal Light. And if you want a soda when you're out, order a diet soda. 9. Weigh yourself every day. I know the almighty they will tell you not to weigh yourself every day. But I disagree. A lot. You need to know where you're at and if the changes you're making are working. If you wait a week or two between stepping on the scale, you could have been unknowingly gaining weight. And you won't really be able to pinpoint where the gain is coming from. Or, on the opposite side, if you're losing weight, you won't know what is working. So, investing in a good scale and getting on it often will really help you to know where you're at. Did you know ketchup has more calories per ounce than soda? When I heard that, it just blew my mind. It's just empty calories. Other condiments can be too. So be aware of what you're adding to your food. If you like bagels, try olive oil instead of butter. If you get a salad and need dressing, have it on the side and dip the prongs of your fork into the dressing before stabbing your salad. You'll get the taste of the dressing with way less calories. BRIDAL BABBLE: What other tips do you have to help brides stay on their wedding diet? Butter has 102 calories per tablespoon and Olive Oil has 119 calories per tablespoon. Most fatty oils contain around 110+ calories per tablespoon. The only benefit to choosing olive oil over butter is less saturated fats. There are several healthier alternatives to butter, and yes, olive oil is one of them. However, if you are looking to save a few calories, hummus, tahini, park skim cottage cheese, part skim ricotta… all of which save you in the calories and saturated fat department. Just felt like sharing this info. :) Great blog! 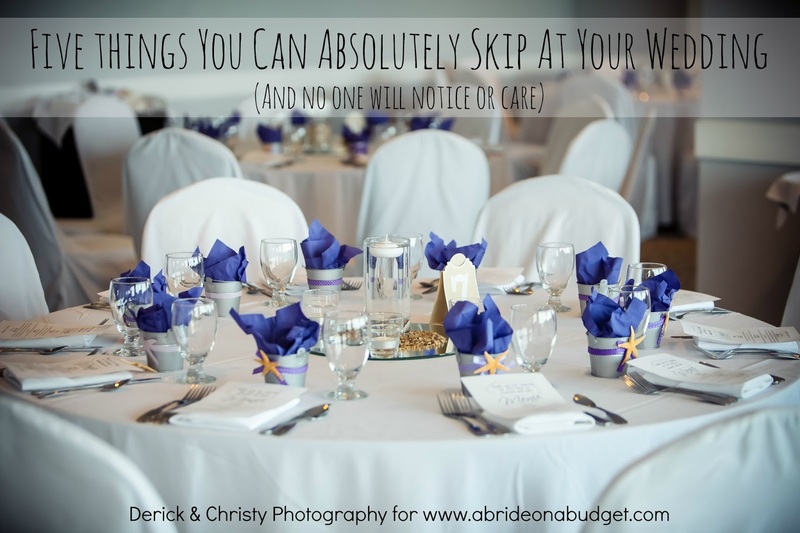 These are great tips for anyone to follow, not just the brides to be. I have to follow a plan or I just can't lose weight. I have had good luck on Weight Watchers and Lean for Life. Thanks for sharing.